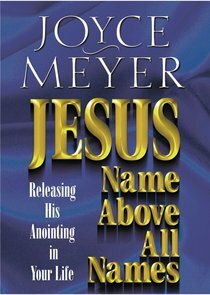 In her easy-to-understand style, the nationally known author explains the reverence and respect that should be given to the name of Jesus and the proper use of the name. She also teaches foundational truths about the power and authority believers possess in the name of Jesus and how it will alter a life. About "Jesus--Name Above All Names"